Awesome for College Students and Camping!!!!! 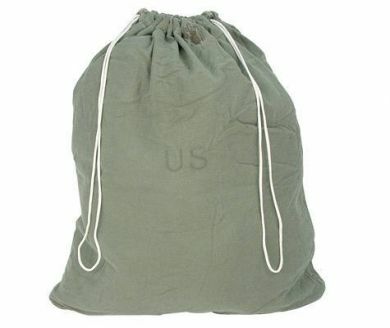 These are genuine military barracks bags/ laundry bags. Made of sturdy 100% O.D. cotton, with a drawstring closure. This one's ready for the laundry!